A new Star Wars MagicBand On Demand design is now available at Disney’s Hollywood Studios in The Darkroom shop. 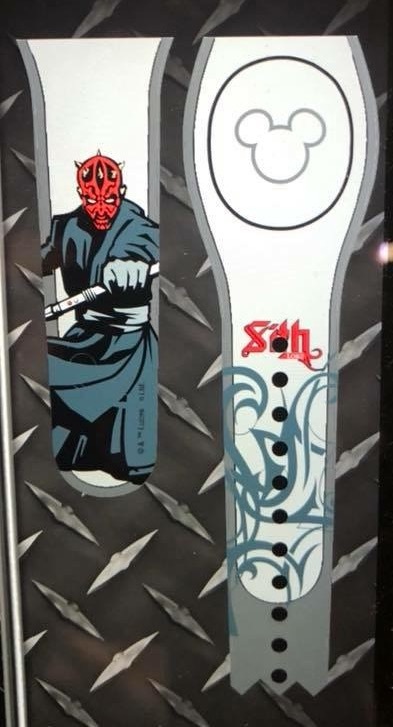 You can find the new Darth Maul design on one of the kiosks there. Here is a quick look at the design. This MagicBand is not available online from Disney (it’s only in the theme parks), but you can buy it from eBay online by clicking this link which will take you right to the product listings.